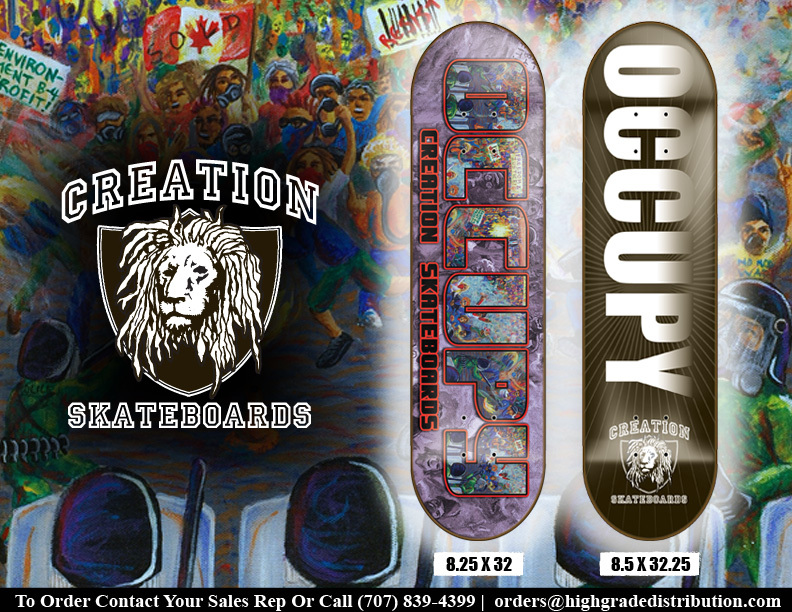 I just designed a Skateboard graphic for Creation Skateboards in support of the Occupy movement happening right now all over North America. 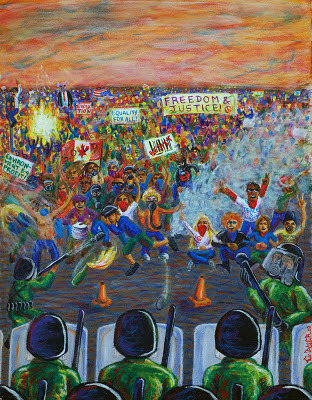 I used an old painting I did in 2022, when I was serving time as an activist n protester. 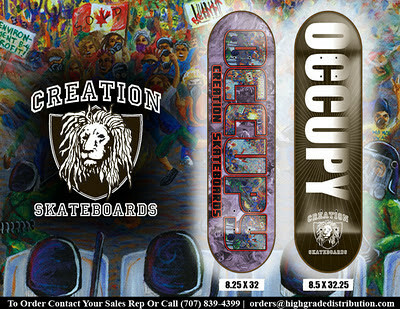 Demand your local skateshop to buy this board or order it online from HERE . Power to the People!